Claxton Fence, LLC provides 36 years of fence experience and knowledge. 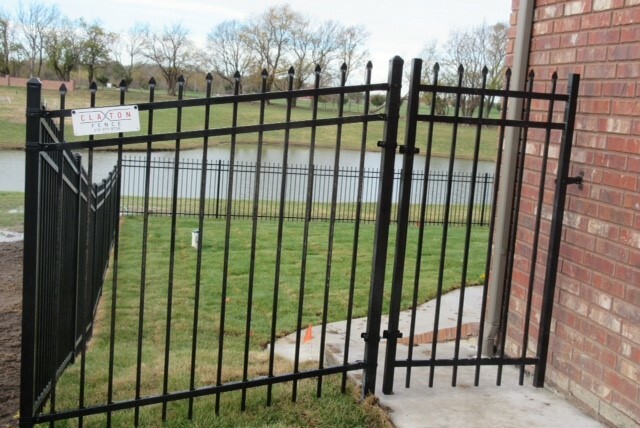 As your trusted Wichita Fence Company, we offer a wide range of fence products such as ornamental and aluminum fence, variety of wood styles, chain link, vinyl, security gates, and operators. We service residential, commercial, and industrial projects alike. Available in Galvanized Steel with a 20 year manufacturer's warranty. 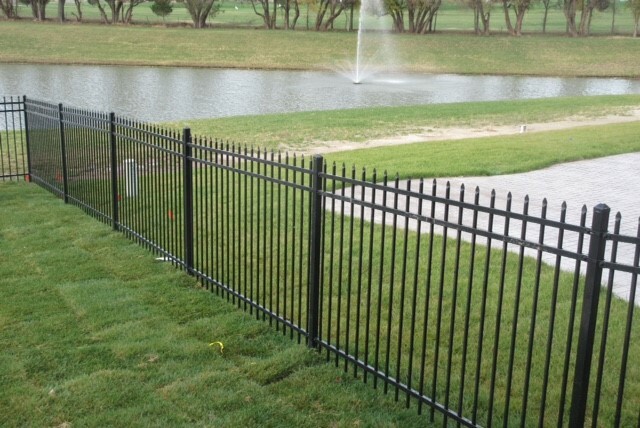 Our ornamental iron fence, also known as a wrought iron fence, is virtually maintenance-free with a one-of-a-kind premium powder coating method. The panels of this fence not only resist the effects of weathering, but are also a rackable system with the ability to adapt to different slopes and grades. Whether your yard is steep or low, we offer a variety of heights and styles of ornamental iron fence for all your fencing needs. Our ornamental iron fences are available in Galvanized Steel with a 20-year manufacturer's warranty. Comes in a wide range of design options and has a lifetime MFG warranty. Our ornamental aluminum fence comes with a wide range of design options and has a lifetime MFG warranty. We also offers color options for the fences at no extra cost. 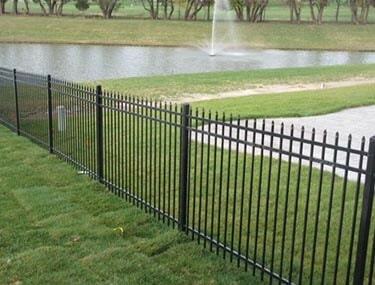 This ornamental aluminum product is our solution for the homeowners with little dogs that need closer spacing. We offer puppy-proofing that brings the picket space closer together that will not exceed a 2-inch gap between pickets. This panel is also rackable and gives us the ability to handle most grades and slopes. 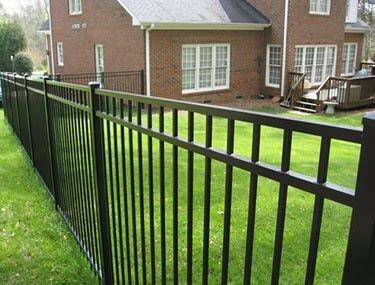 Our products are provided by Alumi-Guard, and we are the only providers of this brand in Wichita, KS. Available in privacy or picket style. 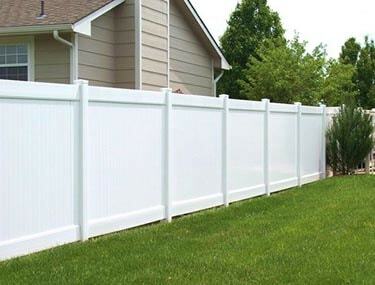 Our Claxton vinyl fences are also known as the “good neighbor” privacy fence. ; Tthis is our best-selling fence due to its ability to offer the same look on both sides. Our choice of brand, Lakeland, is our clients’ favorite. They endure the test of time, and their polymers, compounded exclusively by our manufacturer Country Estate, make it appear ageless. Our vinyl fences are available in privacy or picket style, with a 25-year manufacturer’s warranty and a variety of colors: white, gray, almond and adobe. Once installed, our fences supply our clients with the peace of mind they deserve—there will never be the need to stain them every three years or so like you have to with a traditional wood fence. Available in Galvanized Steel with a 20 year manufacturer’s warranty. Wood privacy fence available in Dog Ear, Shadow Box, or Heritage styles. Postmaster Steel Posts. 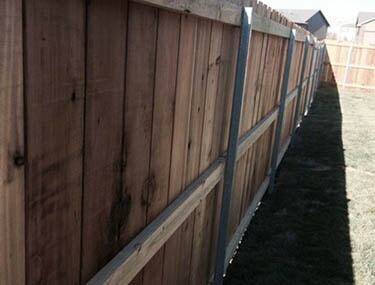 Our wood privacy fences are available in Dog Ear, Shadow Box, or Heritage styles. Our two styles of metal post are round post and the Postmaster. We also offer a variety of picket styles—we use a 1x8x6 7/8” picket style (highest grade) and 1x6x6 cedar picket for cost savings. We use a metal frame gate instead of standard wood frame which keeps the frame from sagging and dragging like traditional wood frames do. Available in galvanized steel or PVC/vinyl coated. 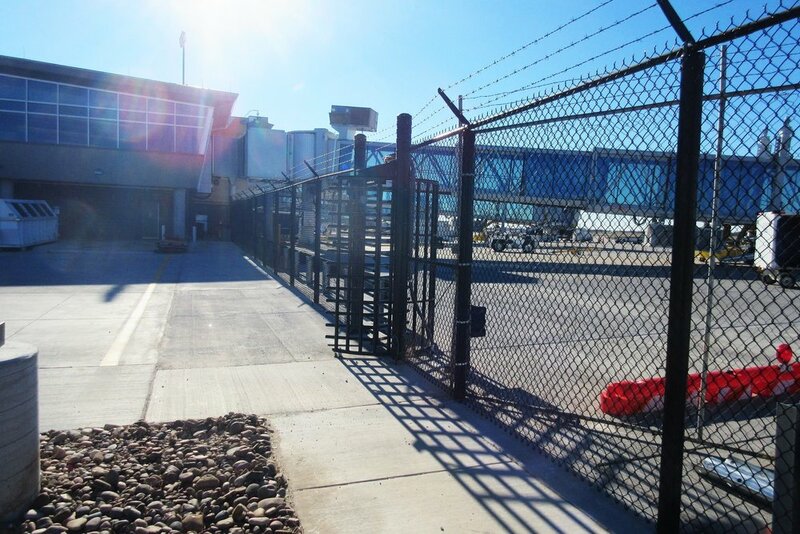 We offer a variety of chain link fences in various heights and grades that accommodate your fencing needs from residential all the way through heavy industrial. 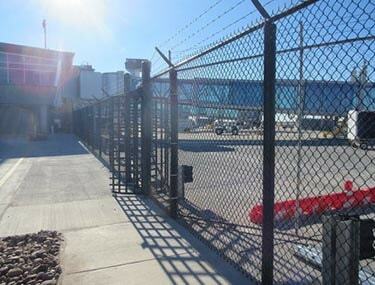 Our chain link fences are available in galvanized steel or PVC/vinyl coated. Gates available in chain link or ornamental iron. 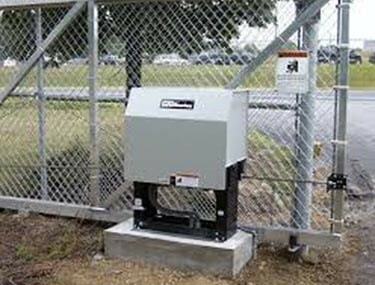 Gate operators and access control systems. Surround your property with the safety and quality it deserves.